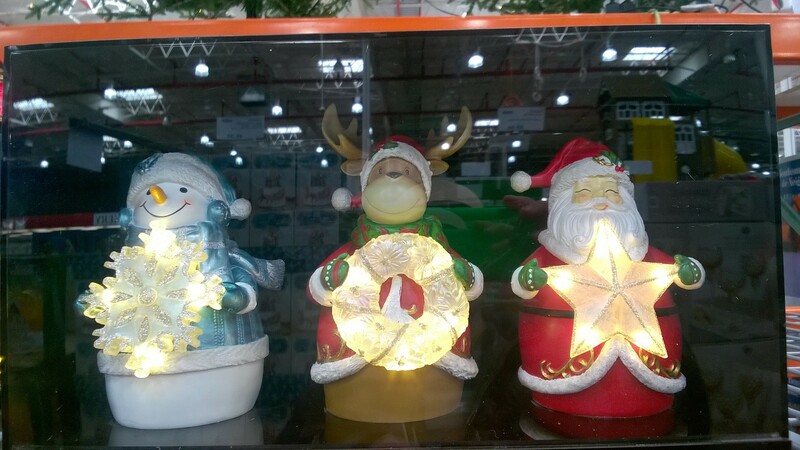 The most wonderful time of the year will soon be here and there's no better place to celebrate it in a BIG way than Costco warehouse at Majura Park. Are you looking for a pre-lit Christmas tree that's almost 4 metres tall to wow the neighbours? Or perhaps you want a 1.8 metre tall Nutcracker to guard your door? Or maybe you want a giant gingerbread man or snowman to add to your house's Christmas lights display? Then look no further than Costco. Costco is a membership-only warehouse operating in many countries around the world including Australia, the United States, Japan, the UK, Canada, Korea and Spain. It sells a wide range of merchandise from groceries, electronics, jewellery, clothing, homewares, toys, cleaning supplies and tyres. The first Costco warehouse opened in Seattle, USA, in 1983. Costco now has over 700 warehouses around the world. The Canberra warehouse first opened at Majura Park in July, 2011. 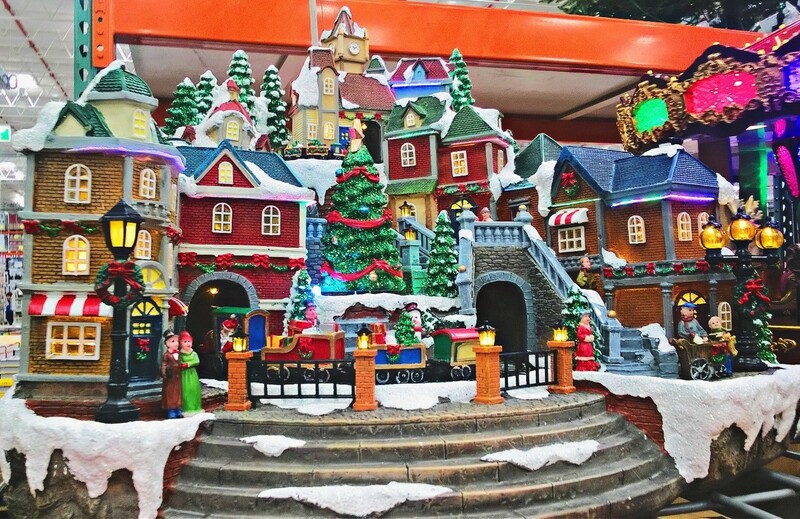 I've been a member of Costco since it opened here in Canberra, and I really enjoy seeing their Christmas decorations each year. 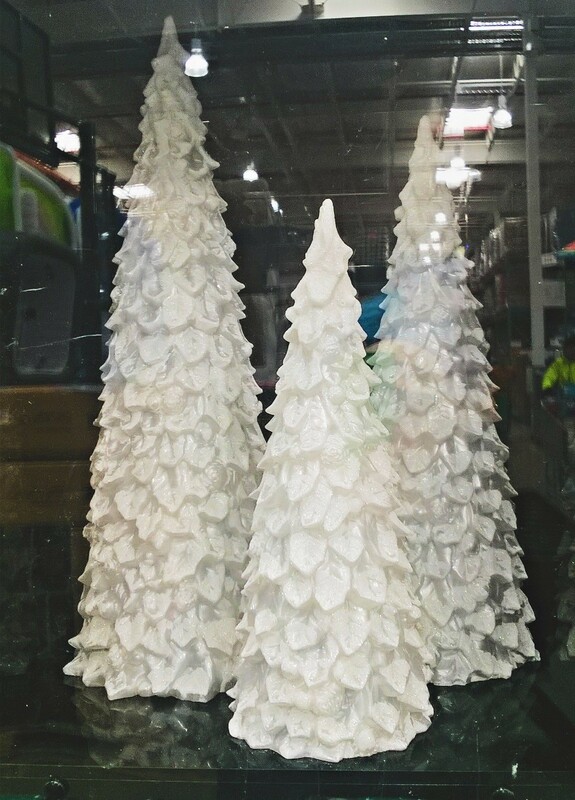 However, I've never yet been tempted to spend $850 for an almost 4 metre tall Christmas tree or $500 for a giant singing, drumming Nutcracker! 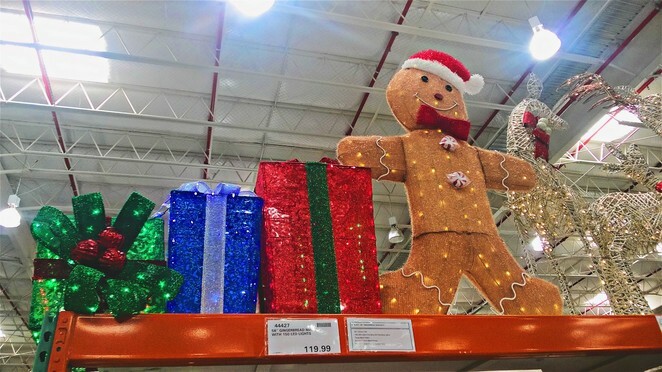 But there are many other, not-so-very-big decorations available at Costco to deck your halls and make your home look extra festive. Such as this beautifully decorated Christmas wreath to adorn your door, priced at $49.98. 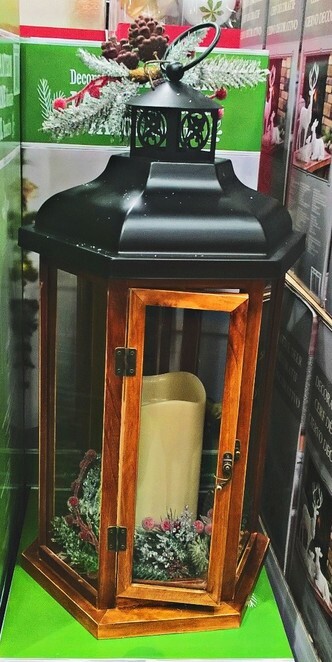 And this decorative lantern with LED candle priced at $64.99. For a winter wonderland theme to your Christmas decorating (which is still very popular even when our Christmases in Australia are sizzling hot! 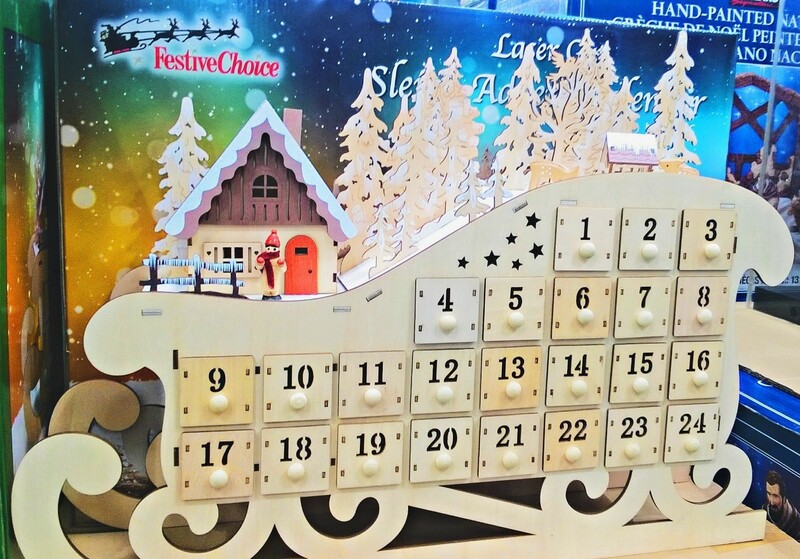 ), there's a set of three trees with LED lights ($49.98), a set of three gorgeous white deer ($49.98) and a plywood sleigh with advent calendar, priced at $39.99. 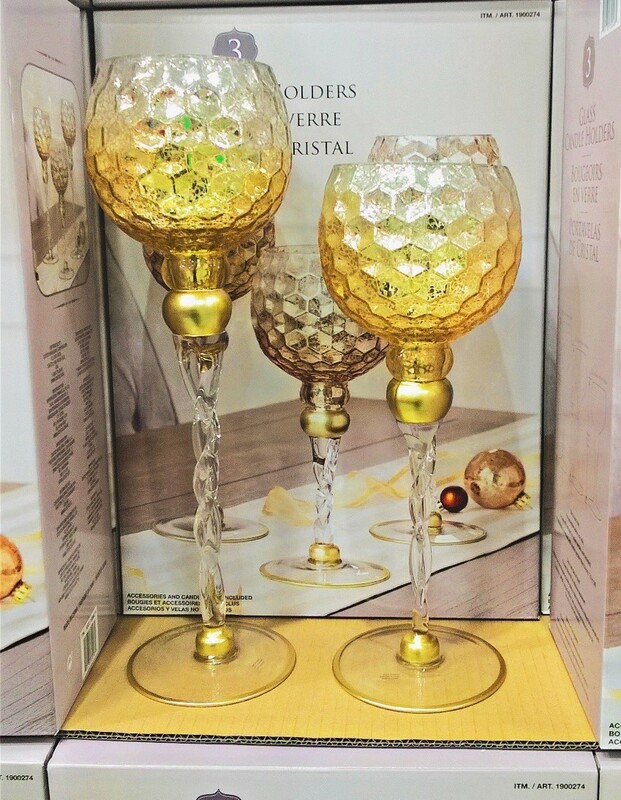 And these three glass candle holders ($35.99) will add a more elegant festive touch to your home. It's a popular Christmas tradition to set up a miniature Christmas village on a mantle, shelf, table or around the base of the Christmas tree. 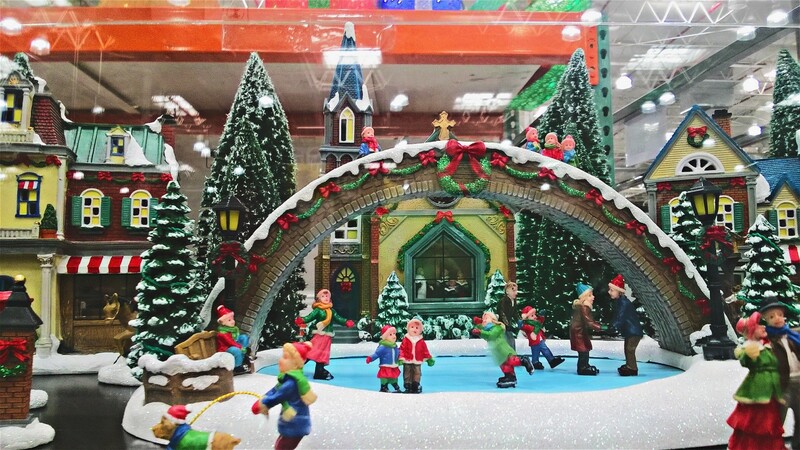 Costco has some highly detailed, handcrafted Christmas villages with lights, music and moving parts to add a traditional, old world charm to your Christmas décor. It's also a tradition to set up a nativity scene during Christmas. 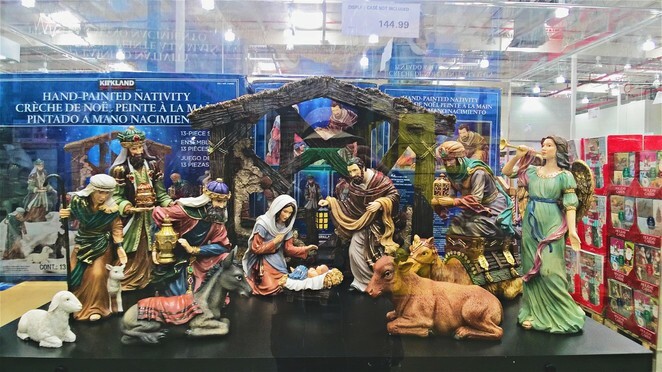 The nativity scene depicts the birth of Jesus Christ. 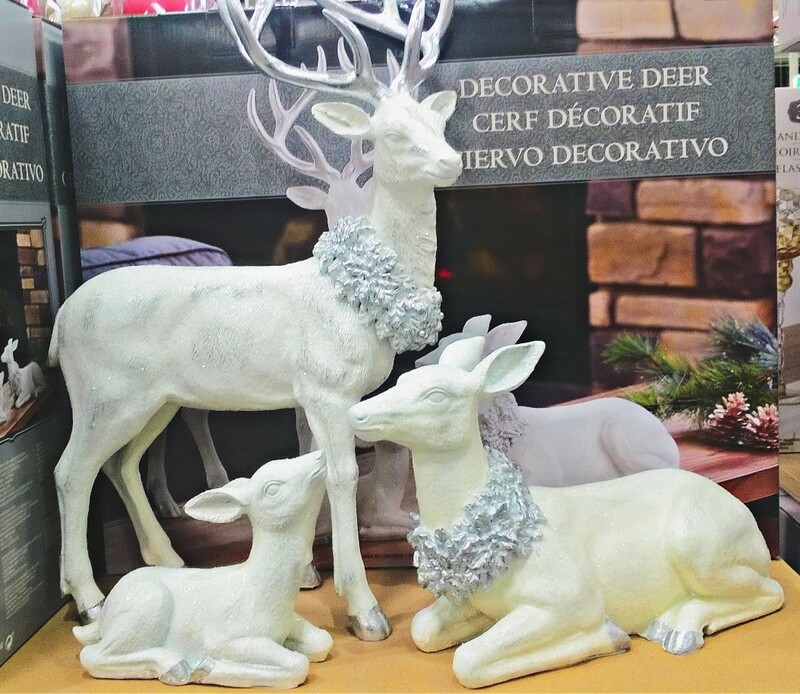 Costco has this beautifully crafted, handpainted nativity set (priced at $144.99) which is sure to make a stunning centerpiece in your home. And what about this magnificent Marquee Grand Carousel, with its 240 LEDS illuminating every inch and playing up to 40 Christmas carols as it goes round and round? This is sure to make a statement in any location you place it. And the kids will absolutely love it! 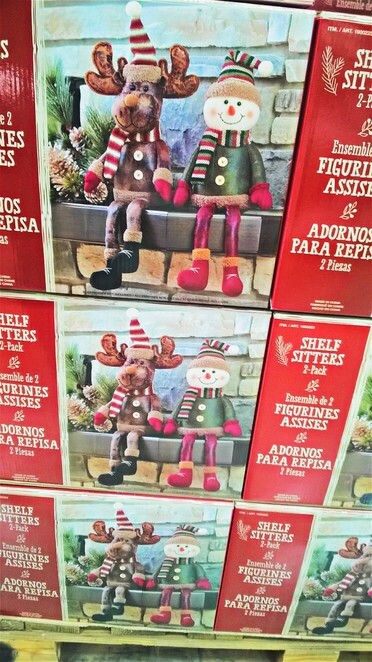 For some other cute, whimsical decorations that the kids will love, Costco has these two very merry shelf sitters and a set of three LED night lights featuring a snowman, a reindeer and Santa Claus (priced at $23.99). 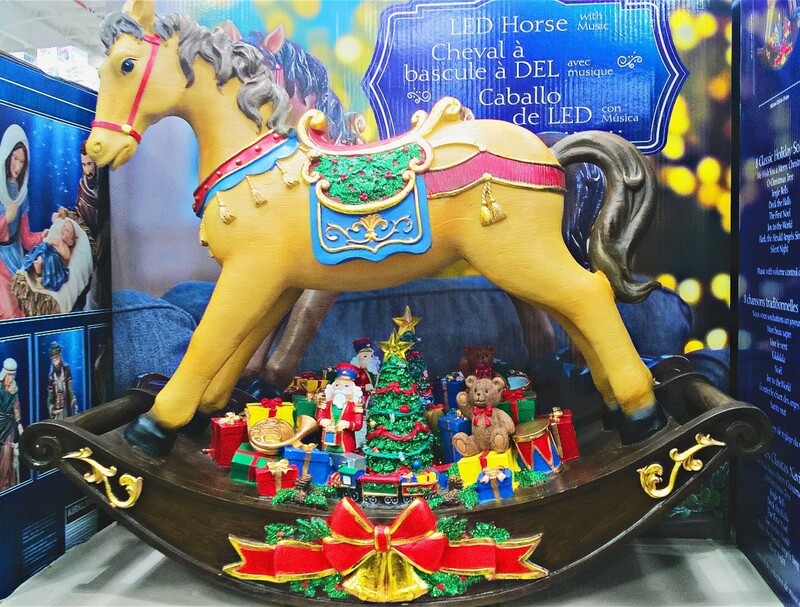 There's also a ready to play Polar Express Christmas train set ($89.99), a Santa mail box ($69.99) and a gorgeous handcrafted LED horse that plays music (priced at $109.99). And what would Christmas be without the big man with the long white beard and red suit? 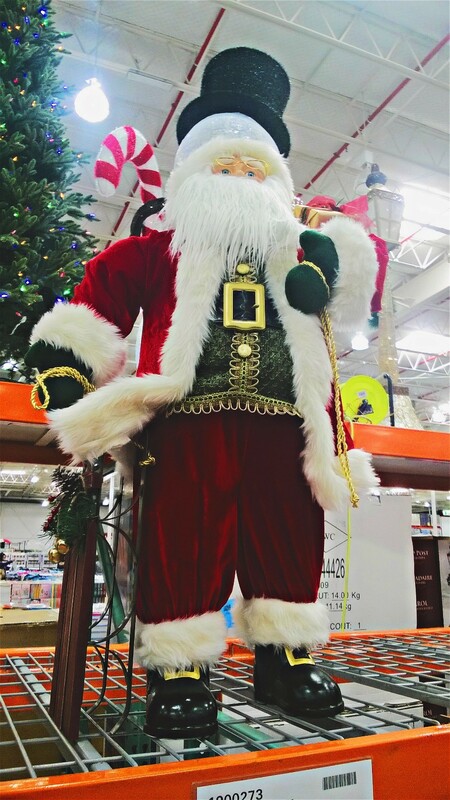 If you have an extra $99.99 to spare after all your Christmas shopping, then you can get this fabric Santa Claus carrying his sled. 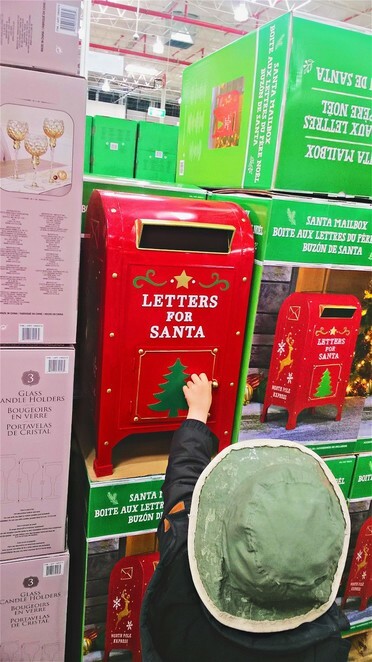 But Costco has so much more Christmas décor and accessories including a beautiful range of smash-resistant Christmas ornaments, Tom Smith luxury Christmas crackers, Christmas cards, ribbons, Christmas tree skirts, gift bags, and Christmas tree storage bags. 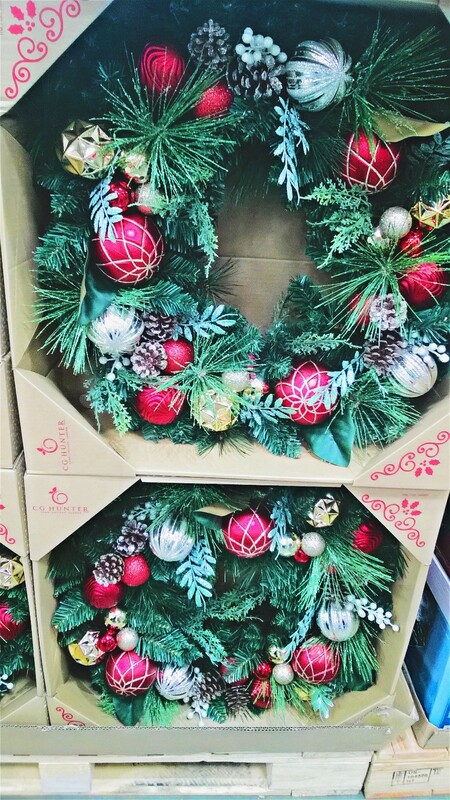 And keep your eyes out for Costco's yummy Christmas fruitcake and pavlova as we approach the big day. 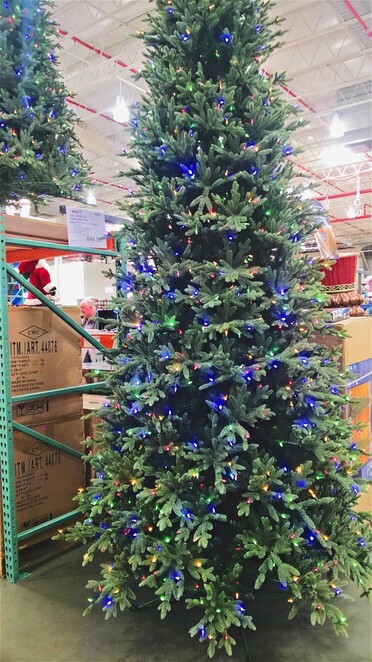 Celebrate the festive season with Costco! 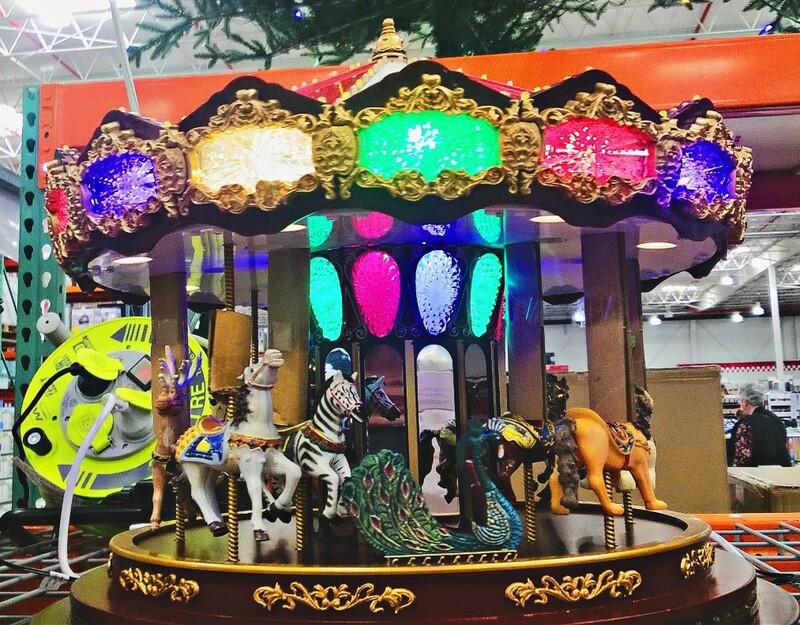 Costco Canberra is located at 39-41 Mustang Ave, Majura Park Canberra Airport. Open Monday-Friday 10am-8.30pm, Saturday 9.30am-6.3opm and Sunday 10am-6pm. 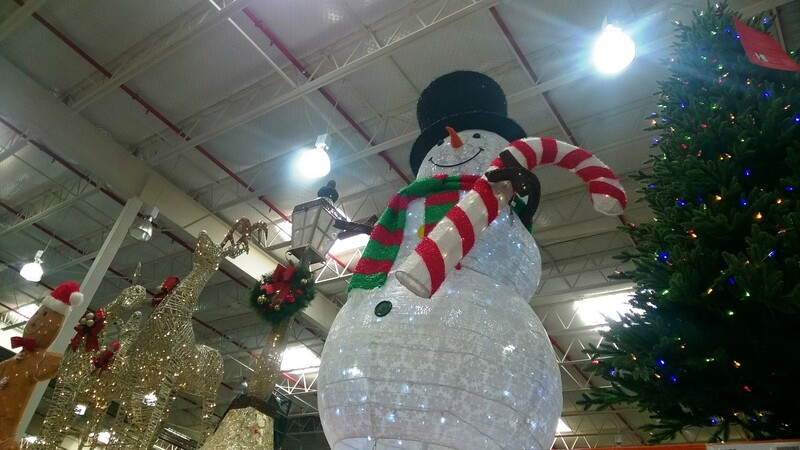 Costco is a membership-only warehouse. The Gold Star Membership costs $60 and entitles you to purchase products at any Costco worldwide for one year. A free Household card is also available for a family member who lives at the same residential address as the Primary member. 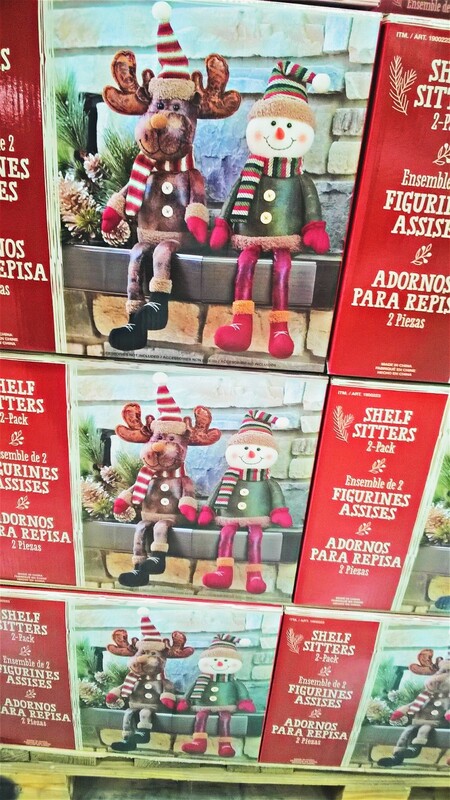 For more information, visit Costco at Majura Park or visit their website here. Why? 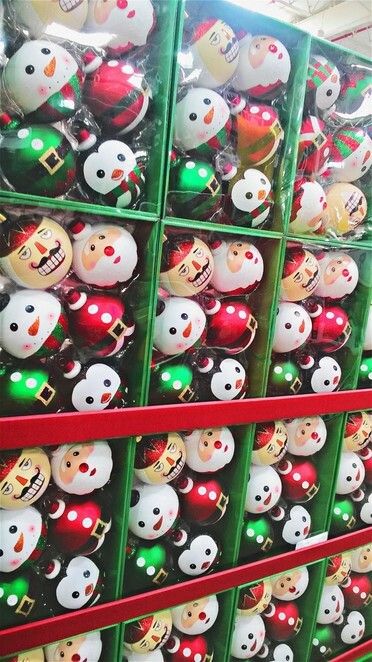 For a beautiful range of Christmas decorations, including the tallest Christmas tree and biggest Nutcracker decoration in Canberra!